Sep 27 By Jen 63 Comments This post may contain affiliate links. 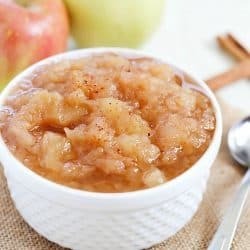 Looking for a fun and easy Halloween treat to make with your kids? 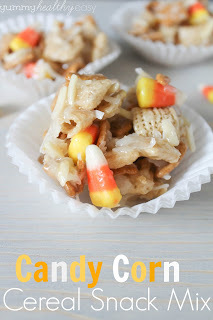 Check out these darling Easy Pumpkin Krispies Treats! There’s something about rice krispie treats that just makes me happy. They’re so fun to make and even more fun to eat. 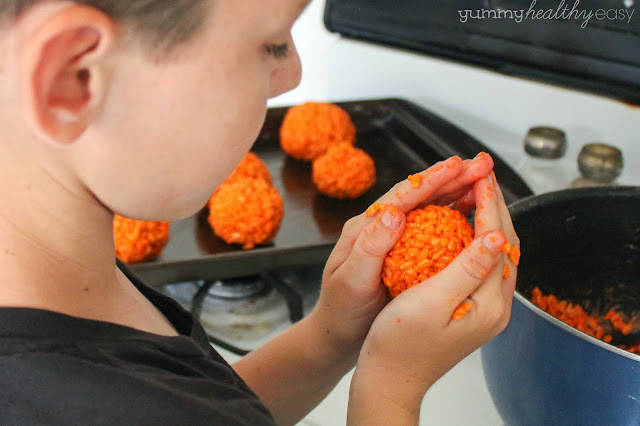 My boys loved helping me make these darling little pumpkin krispies treats. They’re really simple to make, too! Just prepare your basic rice krispie treat recipe (I like to brown my butter a bit and add a little vanilla extract) but add in orange food coloring when you put in the marshmallows. Let the cereal mixture cool a bit and then shape into balls. Press a little tootsie roll into the top to make a stem and then add some candy to make the eyes and noses – get creative! 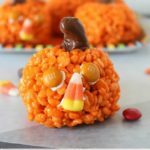 I love that these can be Halloween pumpkin Krispies treats by making them look like jack-o-lanterns, or leave off the little face and you can make these all the way up to Thanksgiving! 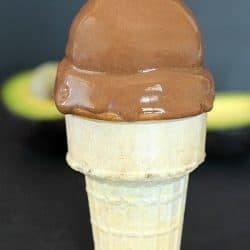 They’re a fun treat your family will love to make and to eat! 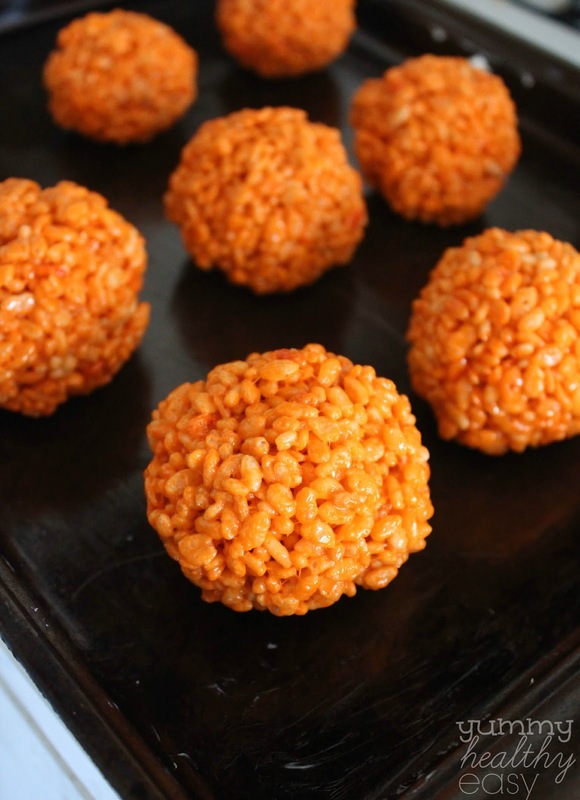 Rice Krispie treats in the shape of cute pumpkins! candy for decorations M&M's, candy corn, etc. Super cute…when I first read the title, I thought you figured out how to add pumpkin to krispie treats 🙂 Those are way cuter!! These are so cute! I love rice krispie treats too. My kids would love this! Love this!! 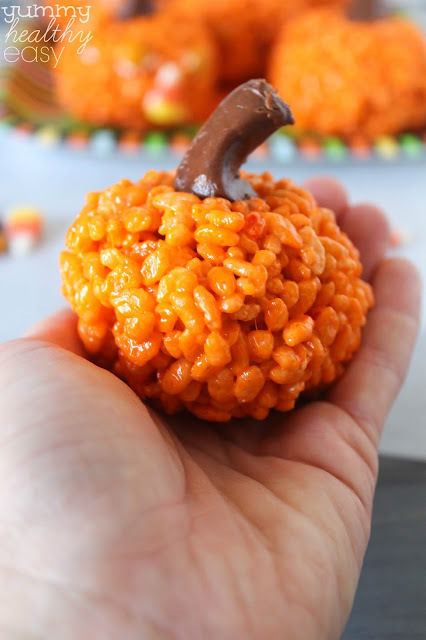 I love Halloween treats like this that are super cute but still easy to make. These are so adorable that I had to pin them twice =). This would be so cute for a school party! Awwww these turned out adorable! 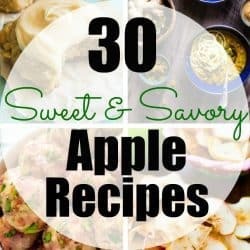 I love when my kids can help me in the kitchen! 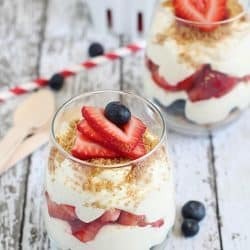 These are adorable and look so fun to make! My kids will love it. Pinning! Those are adorable Jen! Your kids make great helpers 🙂 Thanks for sharing at Share your Stuff Tuesdays! Very fun! My kids would love this project. Pinning. My little boy would have a blast making these. Thank you for sharing! 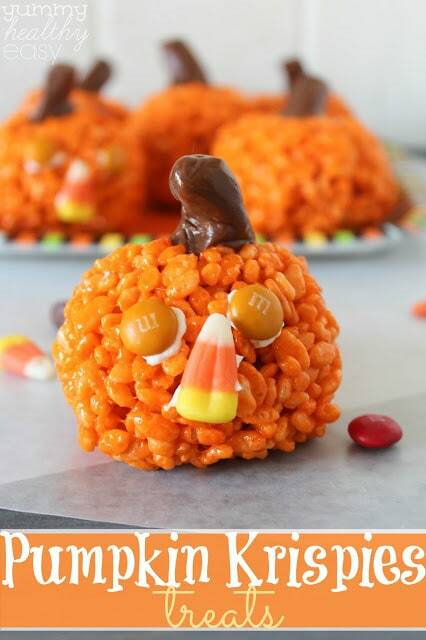 Your Pumpkin Krispies are really just adorable! Thank you so much for sharing with Full Plate Thursday, and have a great weekend. 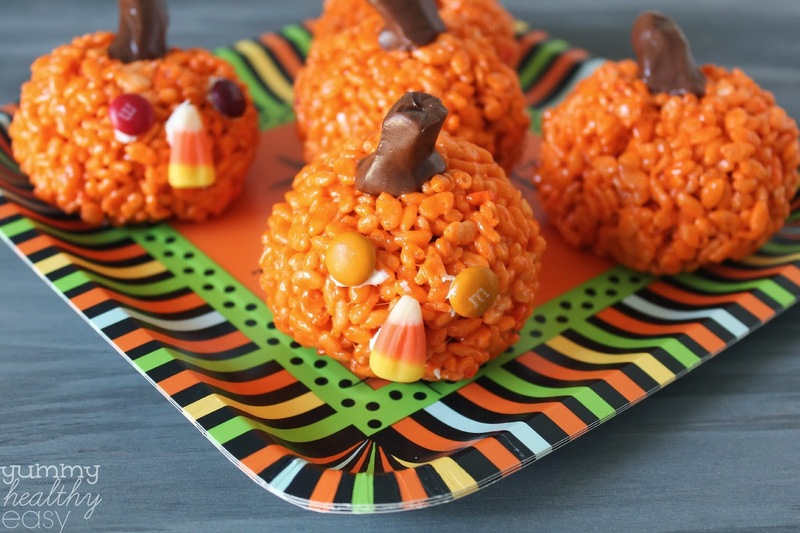 These pumpkin krispie treats are so adorable. The kids will go crazy for them. 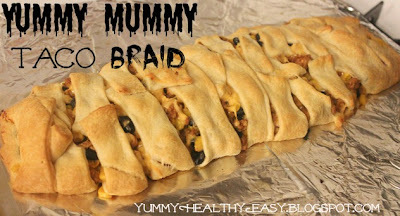 Thanks so much for sharing these on Foodie Friends Friday Halloween party. I’ve pinned and am sharing tomorrow on my FB page. These are so much fun my grandchildren will have so much fun with this project I can hardly wait to have them over to make them. MANY THANKS. Thank YOU!! I hope your granchildren love them! Thanks Michelle! Heading over to check it out now! 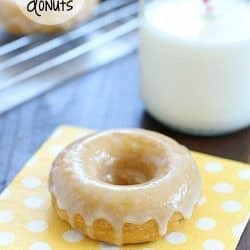 approximately how many does one batch make? Hi Tammy, one batch makes about 9 pumpkins. Hope that helps! Let me know if you have any other questions! When molding, you can actually just wet your hands in water.. it worked better than oil for me. I’m glad you liked them!! Thanks for taking the time to comment! I only have big marshmallows at home, how many cups of those should I use? Hi Jessica, you can use a 10-oz bag of the big marshmallows, or about 40 big marshmallows. I hope this helps! How do you get the Rice Krispies coloured so deeply ? ……. I tried, and the colour was very pale. I actually used an orange gel food coloring that I bought at the craft store. It makes the color deeper. 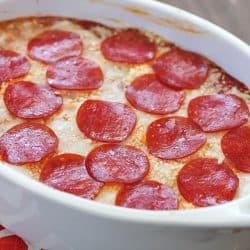 You could also use red and yellow liquid food coloring and use a little more red than yellow to get it a deeper color.